Even under the best of circumstances, some sort of medical issue will arise at home. Many of these events do not call for professional medical attention or will require some home care after consulting with a physician. If you have the right medical supplies at home, you will be prepared to take proper care of yourself and other family members. Here are five essentials that need to be on hand at all times. Considered a staple of any home medical kit, these bandages come in several different sizes and work well for minor cuts. Designed with a padded area to fit directly over the wound, the bandage is held in place by adhesive around the edges or on two wings that flank the padded section. After cleaning the wound with soap and patting it dry, applying the bandage will prevent any dirt from getting into the wound and expedite the healing process. Ointments are used along with soap to remove any contaminants that could lead to an infection. After cleaning the wound, apply a thin layer of ointment before covering the wound with a bandage. Considered one of the most basic of all skin care supplies, the right ointment will often contain ingredients that help to minimize discomfort while nourishing the skin and helping with the healing. 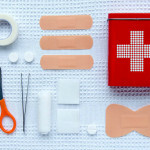 Some wounds may be a little larger than you can adequately cover with an adhesive bandage. That’s where gauze and adhesive tape come into the picture. Gauze can be cut to any size or shape needed and secured in place with the tape. After applying some type of ointment to the wound, place a layer or two of gauze over the affected area and use the tape to hold it in place. Remember to apply fresh gauze every time you clean the wound. A few disposable eye patches may not seem like something important to keep around the house but they are very helpful if someone in the home develops an eye infection. The patches provide more protection once you’ve applied the ointment recommended by the doctor and covered the eye with gauze. Some patches are absorbant, something that helps if the infection causes any type of leakage. Like the gauze, you can apply a fresh patch every time you need to clean the eye and apply a fresh coat of ointment. While you will likely know how to deal with many minor scrapes and cuts, it never hurts to have a first aid manual on hand. That’s particularly important if someone takes a tumble and a finger or toe is suddenly at an odd angle. The information in the manual will help you know what to do even as someone is calling a doctor and making arrangements to get the injured party to a clinic. Remember that having a few basic medical supplies on hand can make a difference. 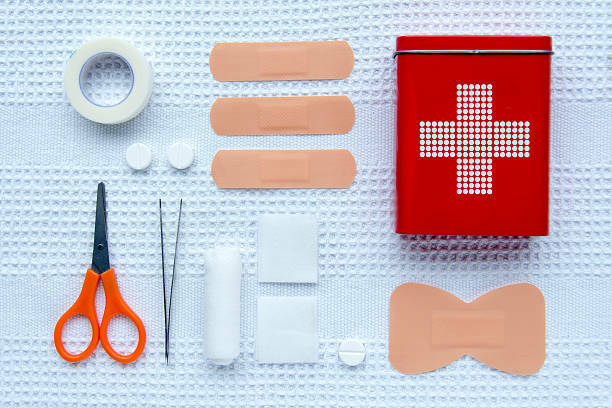 From knowing how to care for a wound after a doctor visit to managing minor issues at home, the supplies will serve you well in the years to come.